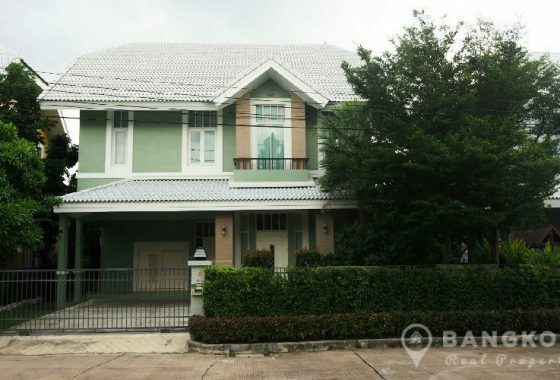 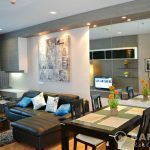 A elegant, spacious, 2 bedroom condo is now available to rent at Hyde Sukhumvit Condominium centrally located just off Sukhumvit road, just 2 minutes’ walk (180 metres) from Nana BTS station. 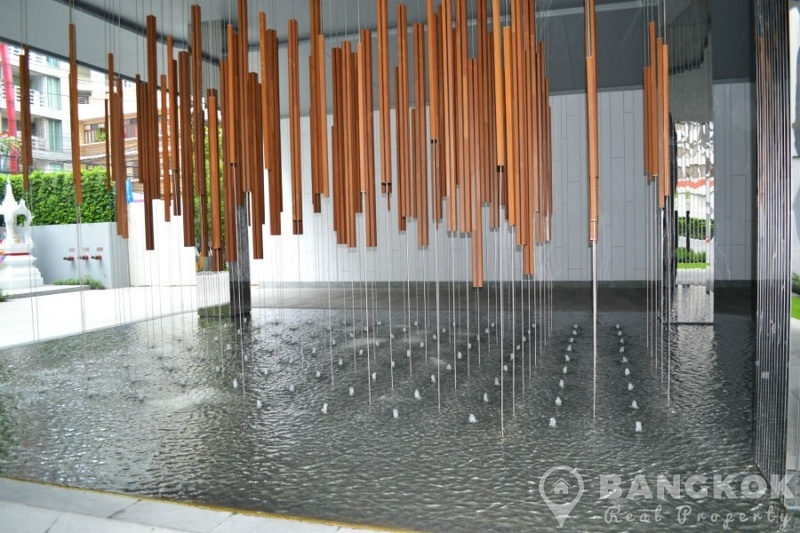 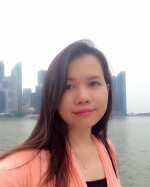 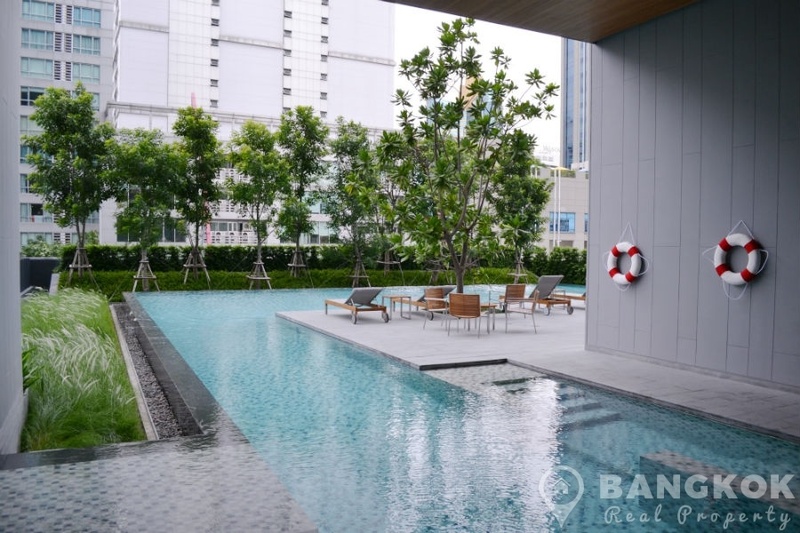 This high rise residential complex in the heart of Sukhumvit, was built by Grande Asset in 2014 and offers residents access to the best of Sukhumvit including Terminal 21, EmQuartier, Bumrungrad Hospital, Villa Market, Benjakitti Park & Lake and several top schools including NIST and Sinakharinwirot University. 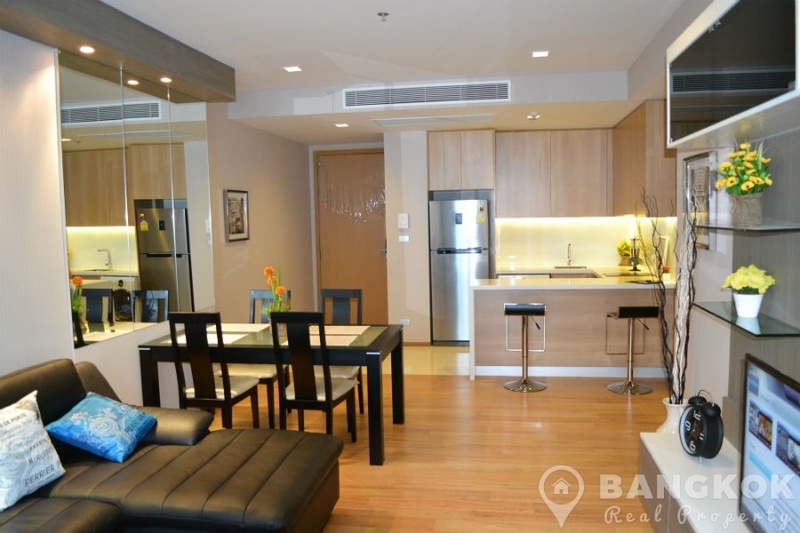 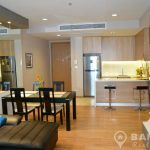 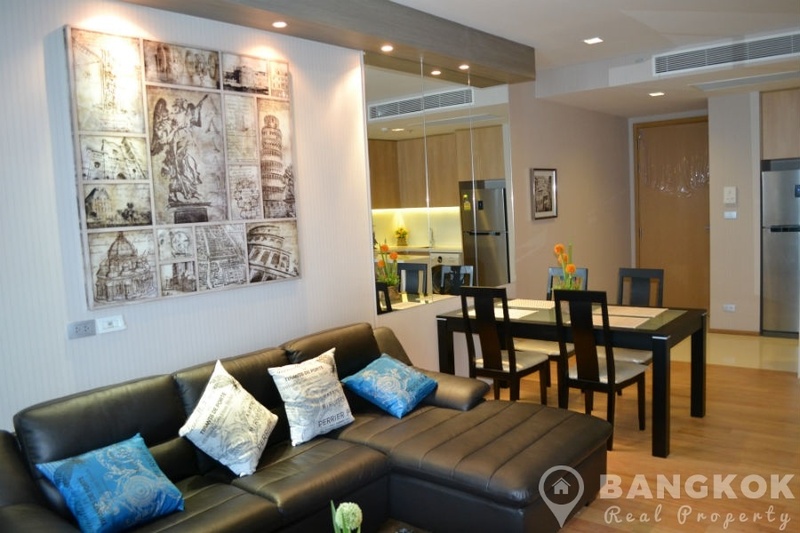 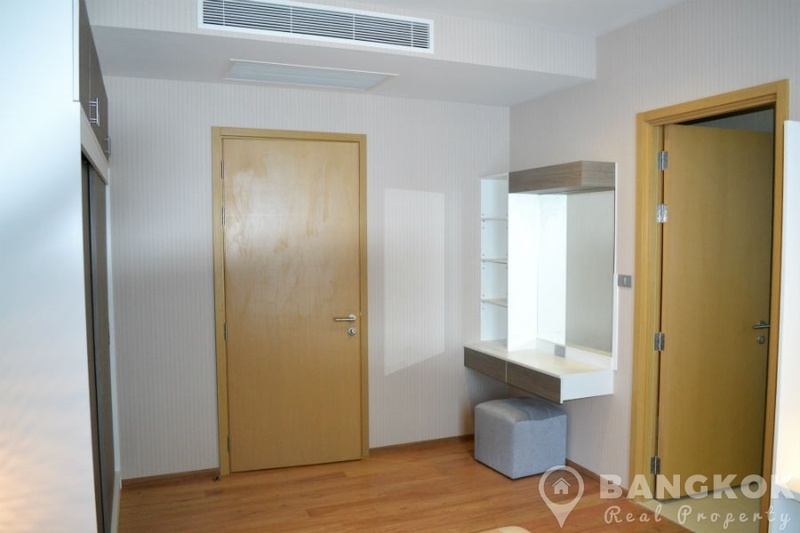 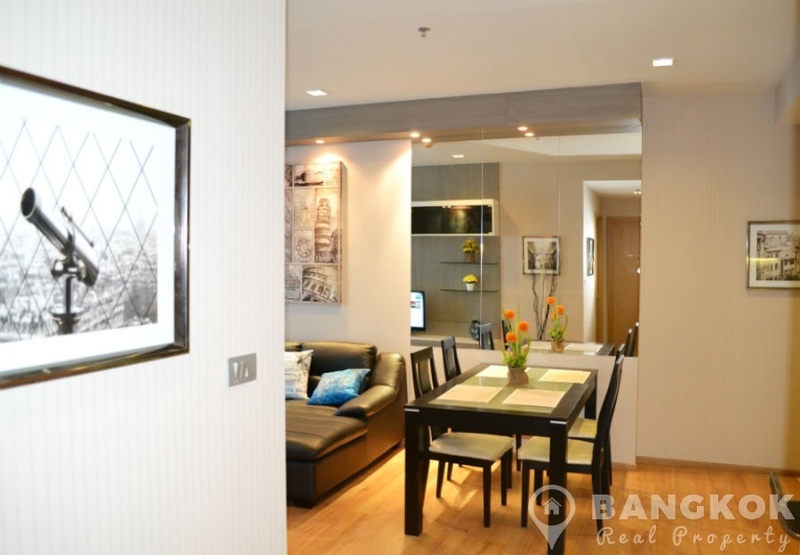 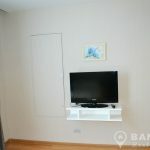 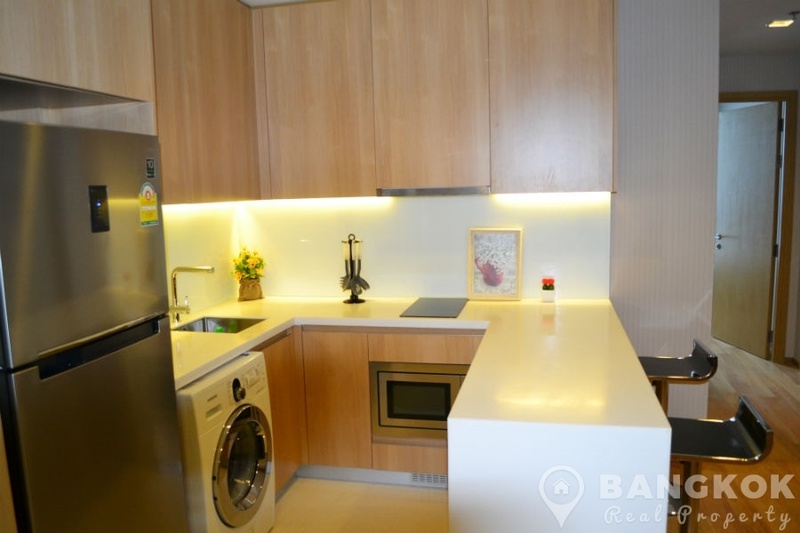 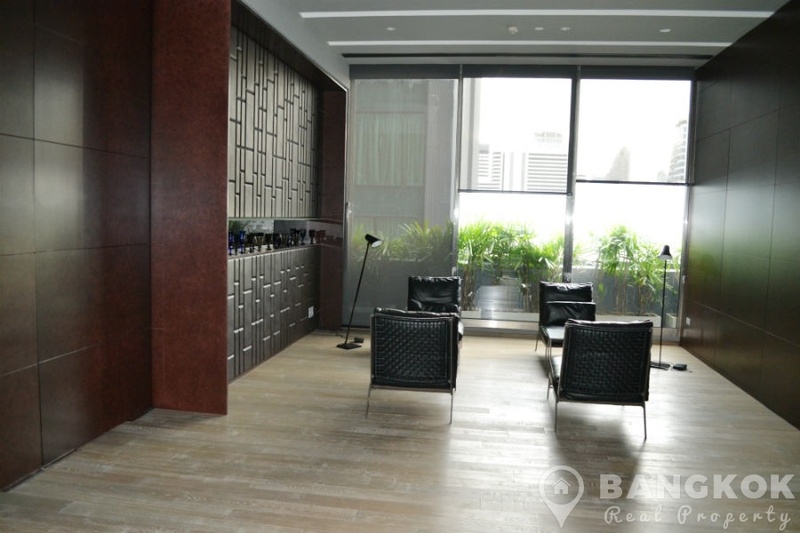 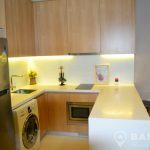 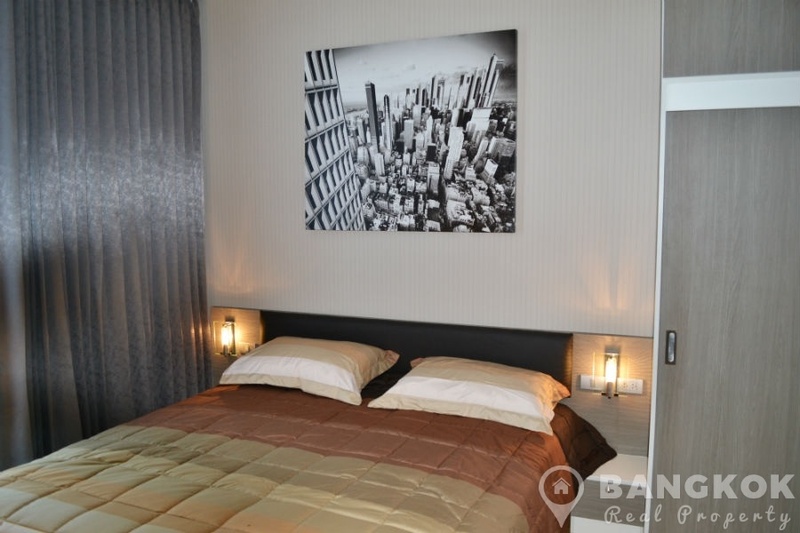 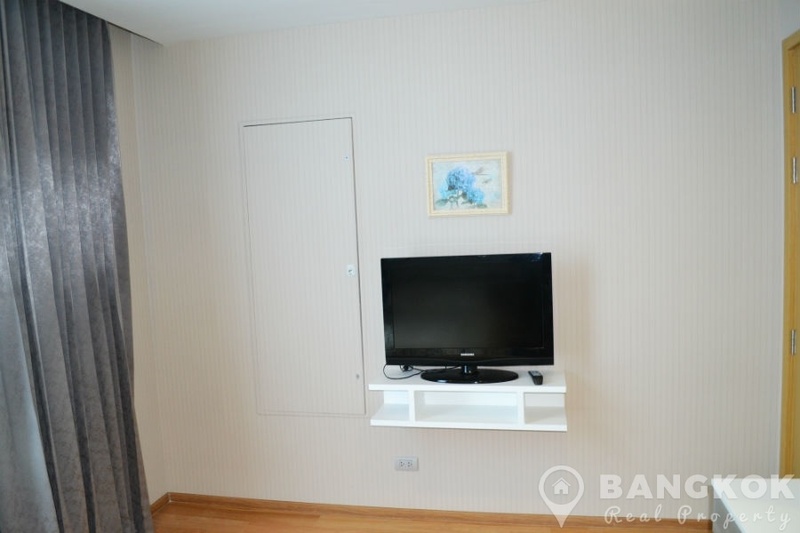 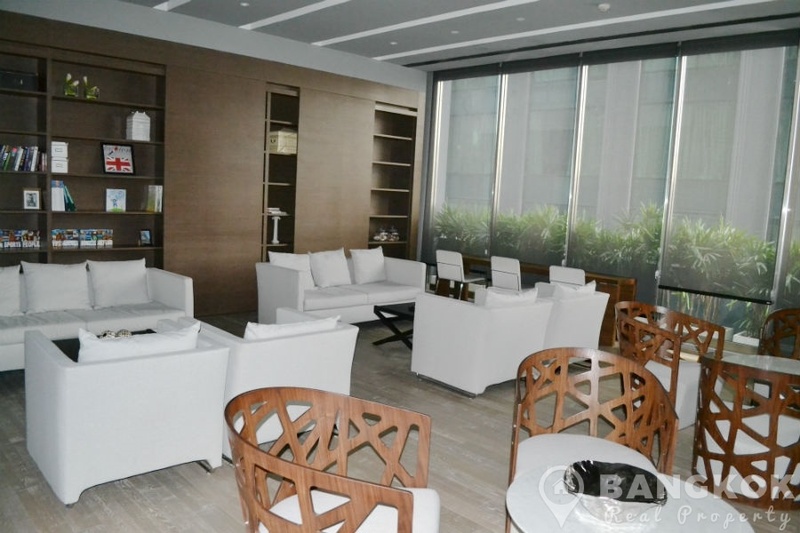 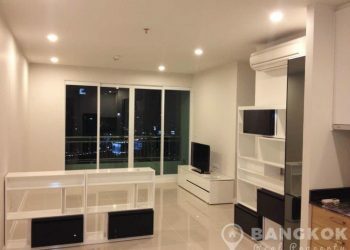 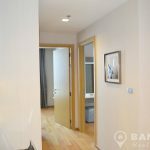 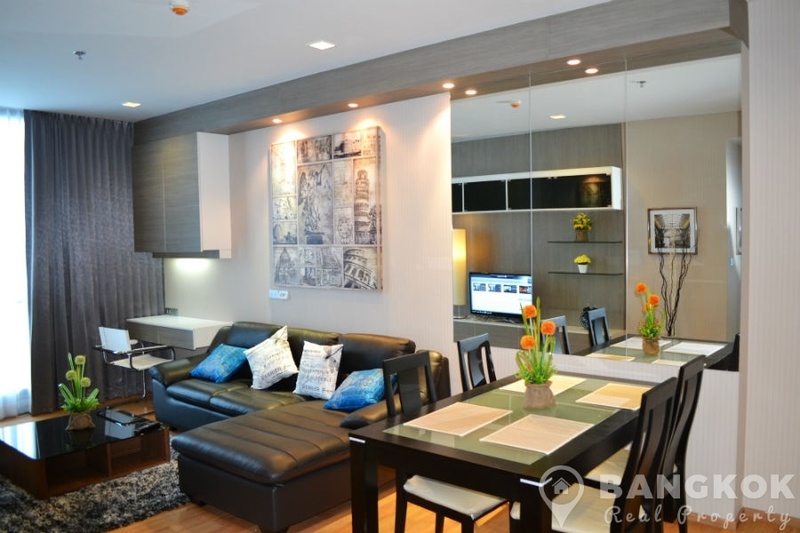 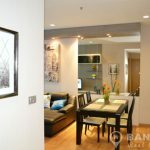 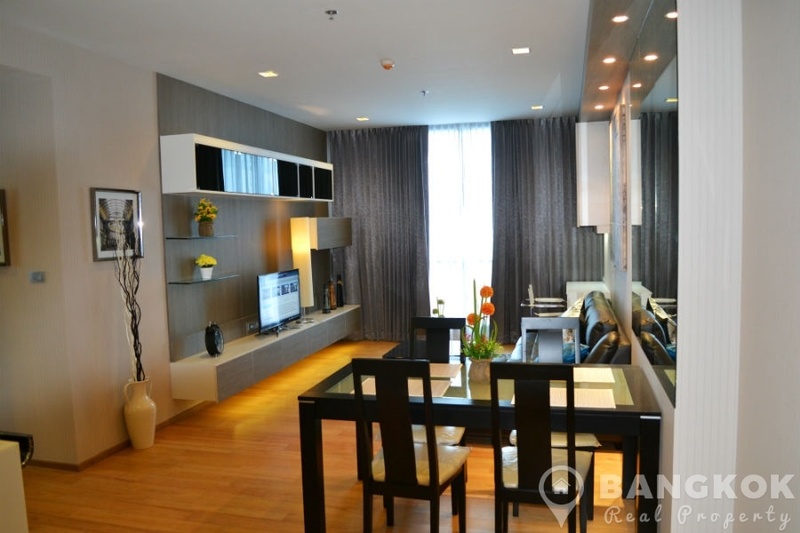 On a mid floor of Hyde Sukhumvit Condominium, this tastefully furnished, spacious corner unit has 2 double bedrooms, 2 modern bathrooms (master ensuite) and 90 sq.m of living space with a large balcony and city views. 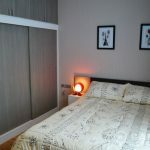 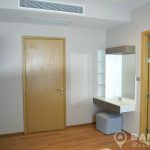 The unit is fully furnished with wooden floors through out, LCD TV in the livingroom and both bedrooms, a European style kitchen with modern units, ceramic electric electric hob & extractor fan, microwave, fridge-freezer and washing machine. 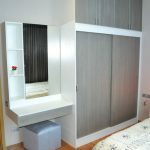 The master bedroom excellent wardrobe space and an ensuite bathroom with bathtub and separate rainwater shower. 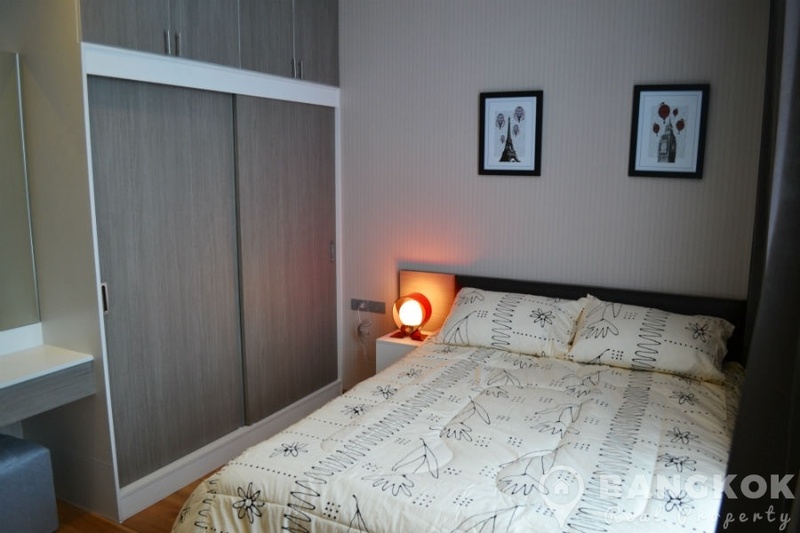 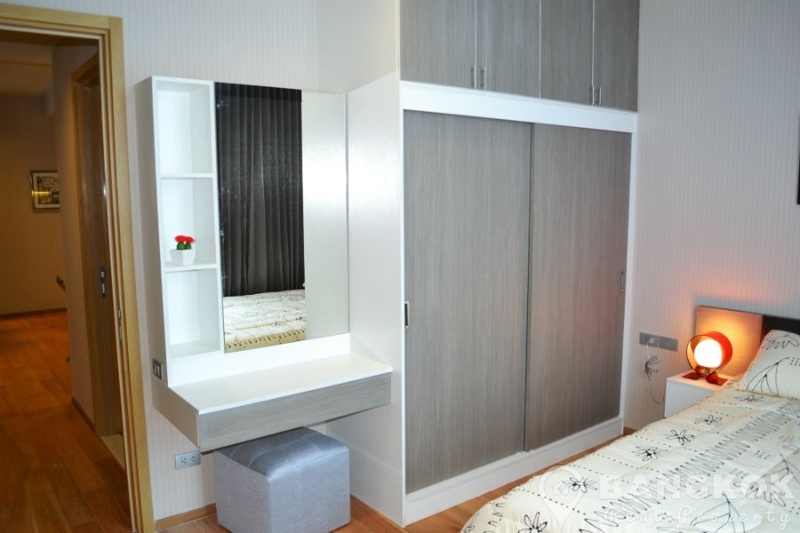 The second bedroom is a double with good storage and there is a family bathroom with power shower. 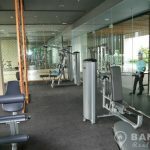 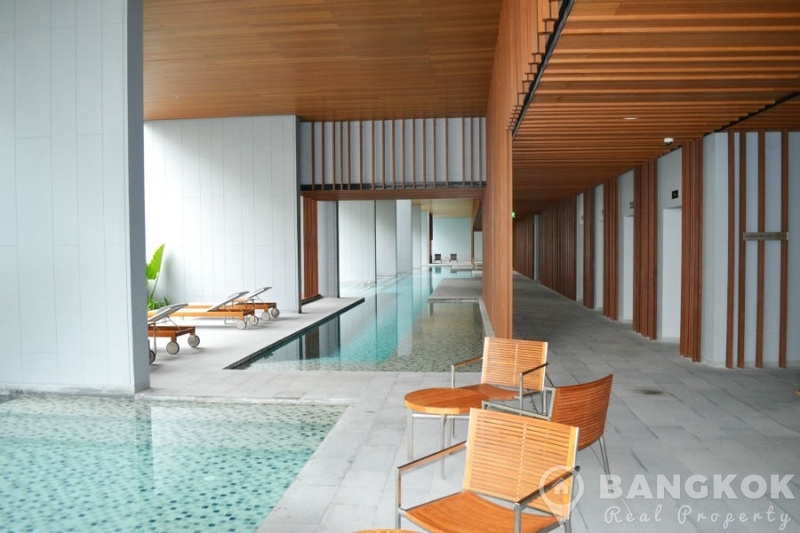 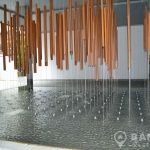 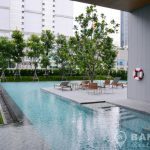 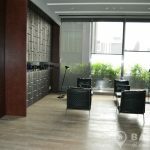 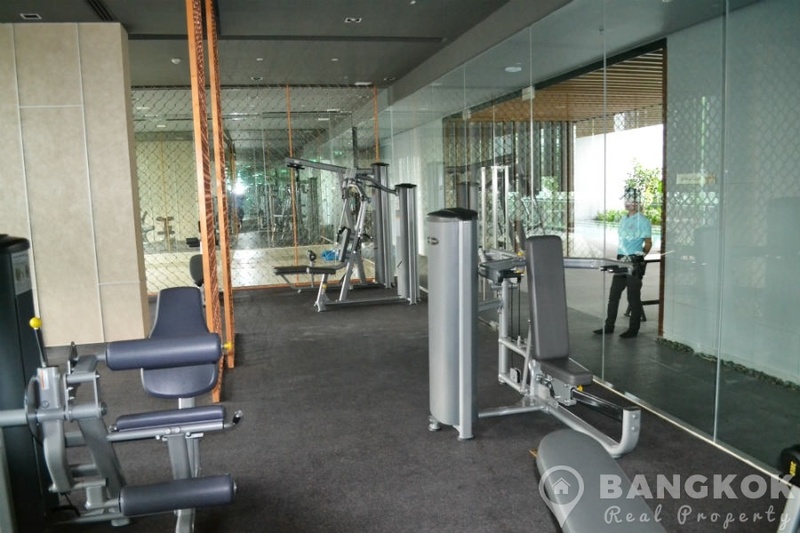 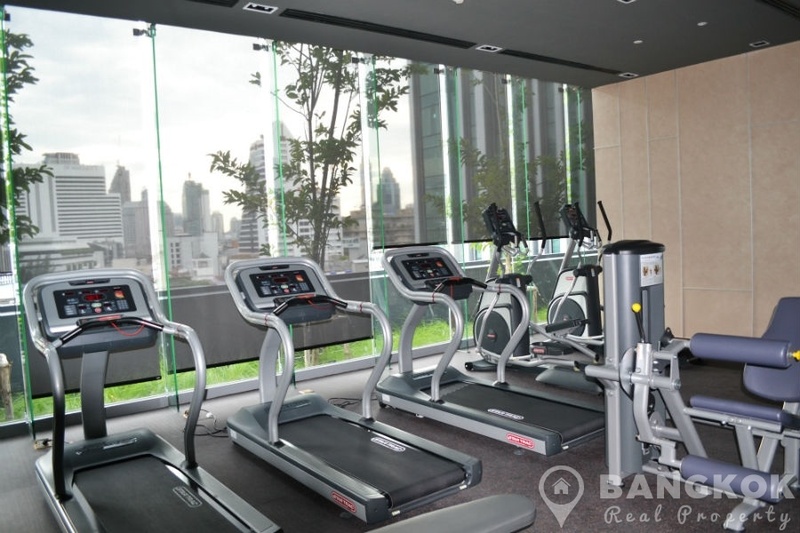 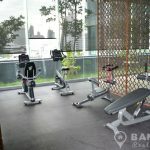 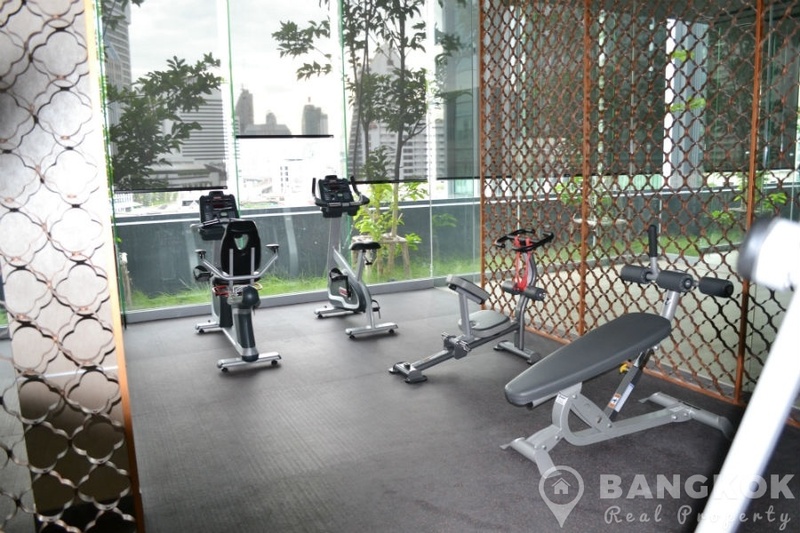 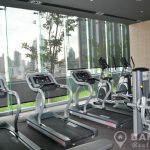 Hyde Sukhumvit is a condominium project, located Sukhumvit 13 in the heart of Sukhumvit within walking distance of Nana and Asoke BTS stations and the MRT at Sukhumvit. 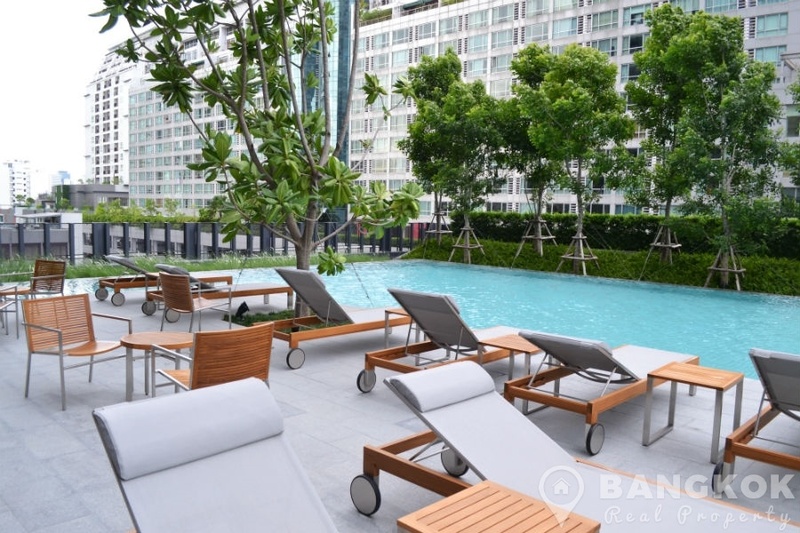 Hyde Sukhumvit developed by Grande Asset, was completed in 2014 and this high rise project comprises of 3 buildings with 40 floors with 455 units.